The Greenspace Rangers recently managed to secure some external funding from SITA to observe wildlife movements around roadside gullypots. Carrying out a test run at the Roads & Countryside office in Blairgowrie, a surprising number of animals have been snapped! Who can identify the mystery bird? Our annual Community Greenspace competition is now running once again until 12th July. The prize will be a guided walk with a Greenspace Ranger for up to 6 people anywhere in the Perth & Kinross area with a picnic lunch and a goodie bag! On Thursday 14th May Pitlochry Paths Group carried out some work at the Pitlochry Recreation Ground car park, joined by Greenspace Ranger Jeannie Grant. Pitlochry Rec is a fantastic park with a play area, football pitches, skatepark, terraces and a pavillion, but unfortunately the car park was getting a bit overgrown. It was important that gloves were worn during this task as many of the bushes had sharp thorns, making it quite difficult to deal with. Although the bushes were being cut back to only 1 foot from the road edge, it was amazing how much plant material was eventually removed. The cuttings were placed into a couple of piles to be collected by the council afterwards, and the dust and debris was swept up too. There was quite a significant difference made over the morning – allowing everyone to leave quite satisfied with their work. Throughout the month of March, children from several schools across Perth & Kinross were given the responsibility of looking after salmon eggs in their classroom. During this period the eggs would hatch into ‘alevins’ – a stage in their life-cycle where they survive entirely off a yolk sac until they are ready to catch their own food. The eggs were very successful this year, with over 95% of the eggs surviving! Once the alevins were ready, they were brought to Annaty Burn at Quarrymill to be released. Here they will spend their next two years living mainly off small invertebrates, and avoiding the numerous predators including other fish, otters, heron and kingfisher. Before the salmon could be released, the children were also shown how to do several tests in the river – looking at the clarity, speed and pH of the water. It is important to know that the river isn’t too polluted, otherwise the fish would have little chance to survive. The children released the fish into the burn, watching as they quickly hid under rocks and stones. In April the children were able to visit the hatchery, where their eggs originated from. Here they were able to see more stages of the salmon life-cycle from the initial eggs to adults. In the hatchery all of the half-million eggs are counted by hand, raised until they are ready to be put in the river, and given the best survival chances possible. The children learned about how fishermen have to be quite clever to catch their salmon, and how they worked to prevent illegal poaching – they especially enjoyed dressing up in the camouflage clothing! In June the health of the salmon released into Annaty Burn will be checked by the schools when they go electrofishing. Not as dramatic as it sounds, the fish are stunned using a small electric current and netted. This allows us to see the how well the fish are doing, and see the great difference in size from when they were initially released. The fish are then returned to the water quickly and unharmed. Have you seen any salmon where you live, or have you ever had any experience fishing? Let us know in the comments or on our share page. 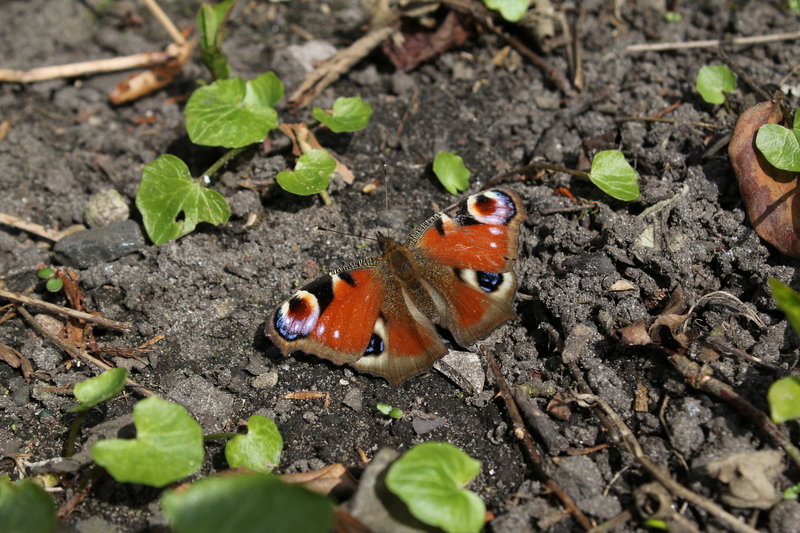 Welcome to the Perth & Kinross Conservation Volunteers blog! This isn’t just a place for us to share our stories and events with you, but somewhere for you to tell us all about your countryside or volunteering experiences. 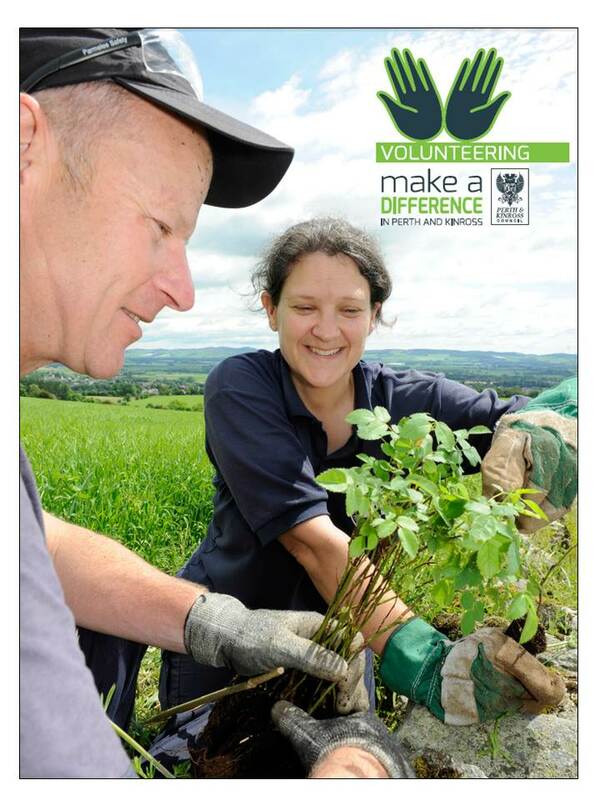 The blog is run mainly by the Community Greenspace Ranger Service, who organise and run numerous volunteer events across Perth and Kinross throughout the year as well as looking after the Coutryside Sites, such as Kinnoull Hill and the Knock of Crieff.